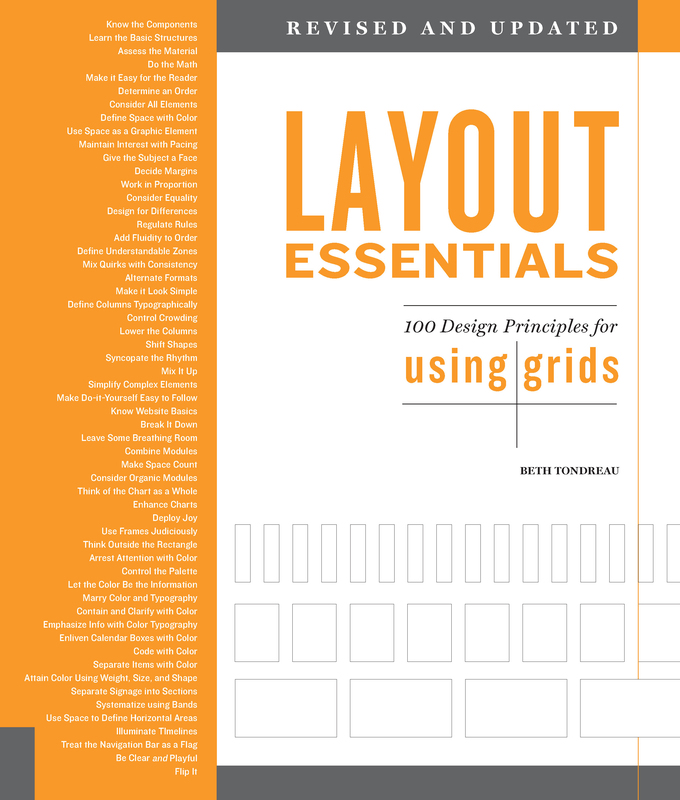 This revised and updated version of Layout Essentials: 100 Design Principles for Using Grids is an essential design text that outlines and demonstrates basic layout/grid guidelines and rules. Prior to founding BTD in 1985, Beth Tondreau was Design Director at then-named Viking/Penguin, where she managed staff and projects for the Adult Trade and Penguin paperback divisions. Beth has also held positions as a designer and art director at other publishing houses in New York, London, and Boston. Beth earned a BA from the University of Pennsylvania, completed Radcliffe's Publishing Procedures Program, and pursued studies at the School of the Museum of Fine Arts. While working in London, she learned from colleagues at William Collins Sons & Co. Ltd (now HarperCollins). Beth has taught at FIT and NYU and guest speaks at Pace, City College, and NYU. 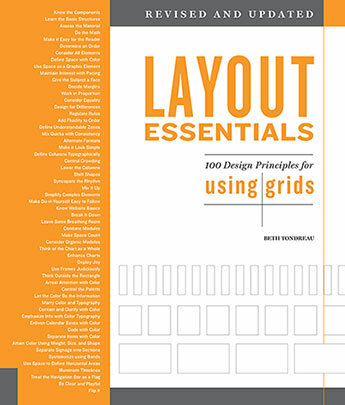 In 2009, she curated and wrote Layout Essentials for Rockport Publishers, which was republished in 2011 and translated into several foreign language editions. As a member of AIGA, the professional association for design, Beth has been involved as a mentor in the AIGA/NY Mentoring Program and has served on the Board of Directors of AIGA/NY.